My thoughts: COLD CASE starts out with a great first line "Cancel your classes or your computer isn't the only thing that will be DOA." That is an attention-getter for sure. 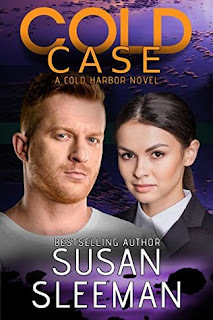 COLD CASE is book 4 in Ms. Sleeman's Cold Harbor Series but it easily stands alone. I do have books 1, 2, and 3 but haven't read them yet. I am looking forward to going back and getting some of the previous stories though. Eryn is super intelligent and quite frankly I was very lost at most of the words that came out of her mouth. Highly technical in cyber lingo, I didn't understand a word of. To Ms. Sleeman's credit, she had Trey not understand them either, so the reader was given translations of the computer-eze but it did slow down the reading and make the story somewhat drag at times as this reader got lost in unfamiliar language. Trey was a sweetie. He did wear his heart on his sleeve, and didn't bother to even attempt to hide his attraction to the beautiful Eryn. He is a Green Beret, he is a deputy, but he's benched due to a serious hip injury. He's willing to watch cartoons with Eyrn's young daughter and eat chicken nuggets, so what's not to love? Once I did manage to wade through the mumble-jumble of the first several chapters the suspense and the story did pick up. And I did force myself to keep reading during those several first technical chapters because this is a Susan Sleeman book and she writes top-notch, bone-chilling, heart-pounding, edge-of-your-seat, romantic suspense. I was given a copy of this book free. All opinions are my own. I am going to go back and read the first three books in the series. Whether it’s choosing a pumpkin from the patch, jumping in a colorful pile of leaves, or going on a hayride with friends, Candy Apple Blessings is a fun way to thank God for the beautiful parts of the season that you get to enjoy together! With charming art and a gleaming foil, Candy Apple Blessings is the perfect way to celebrate all the wonderful things about fall. 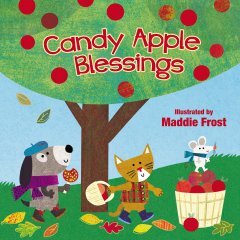 My thoughts: CANDY APPLE BLESSINGS is a cute children's board book for toddlers and babies full of rhyming fun. It is about fall-ish things, like pumpkin patches, candy apples, mazes, hayrides, and more. It is a good book that will introduces young children to the wonders of fall. I was wondering if they were going to work anything Christian in it but the very last one is about giving God thanks for His blessings, so that was a nice touch. Parents, grandparents, caregivers, church nurseries, daycares, preschools and more will enjoy this book. I'm putting my copy in the church nursery so our church babies will enjoy it. I think this board book will be a harvest time book for your favorite toddler. 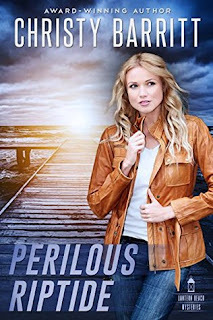 My thoughts: PERILOUS RIPTIDE is the fifth book in this series and while it does stand alone with it's own mystery, it does heavily tie in with the other books with an ongoing mystery that is woven through all the books. In order they are: Hidden Current, Flood Watch, Storm Surge, Dangerous Waters, PERILOUS RIPTIDE, and Deadly Undertow. When Ty is arrested for murder, Cassidy is desperate for answers. Understandably. But the evidence is overwhelming, and then became almost cliche as if someone has been reading too many mystery/suspense novels (which could be me, but in this case was a character in the book.) However, who? Three police officers who had access to planted evidence. Three bookish females who love mystery/suspense novels... The suspect list for this reader was growing. And then of course there is Jimmy James who seems so clueless but always knows more than anyone else.... Who done it? Why? I had to keep reading to find out. 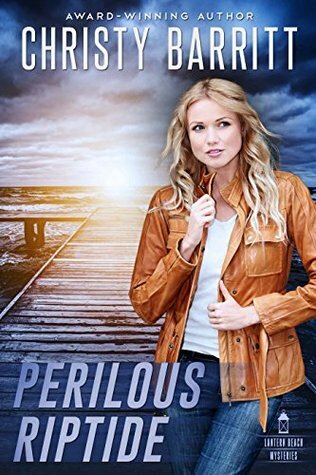 PERILOUS RIPTIDE was a page-turner for sure, though the riptide mentioned in the title did have my wondering if they were going out to sea... but it was an appropriate analogy for what was actually happening. To quote Ms. Dardus on High School Musical, "Bravo, Brava, Bravo". Great job, Ms. Barritt. Watch for review on Deadly Undertow coming soon. I learned early on that choosing to stay positive helped me find my inner warrior. One of the things that’s helped me from the very beginning of my stroke journey was to focus on the positives. Because there are so many! I’m talking about the cheesy kind of “woohoo” moments that may make you roll your eyes. Eyes - imagine rejoicing in simply being able to open them. I have! I celebrate small victories. For example, I was excited when I took my first steps. Yes I was held up by a gait belt and two therapists, but I wasn’t confined to a hospital bed. I was free. It had been well over 30 years since I took my official “first steps”, so I call these my “second steps”. 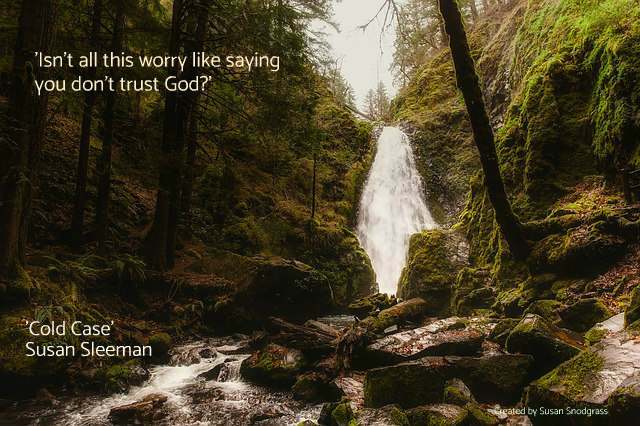 It’s easy to thank God when things are going well—it feels natural. But He calls us to give thanks in ALL situations.To have a heart of thanksgiving even during the most challenging times. I won’t lie, this wasn’t always easy. Be thankful for having strokes? For being permanently disabled? Losing my career? Everything I’d worked for? I can now say YES! Because for every loss, I have a multitude of new things to be thankful for. 1. I get to be a stay-at-home mom and spend time after school each and every day with my daughter and her best friend. I love volunteering at her school. 2. I get to volunteer at church on Wednesdays and Sundays. I get to spend time with my hospice patient. I get to enjoy other friends without full-time jobs from my life group. 3. I get to be a part of an incredible women’s ministry called Wholly Loved.I’m finally getting comfortable with public speaking again. I got to attend one of their amazing conferences at the beginning of last year and never imagined I would get the opportunity to join them. 4. I get to attend a women’s bible study on Tuesdays mornings. I love meeting new people who love Christ. 5. Last, but definitely not least, STROMIES (Stroke + Homies). 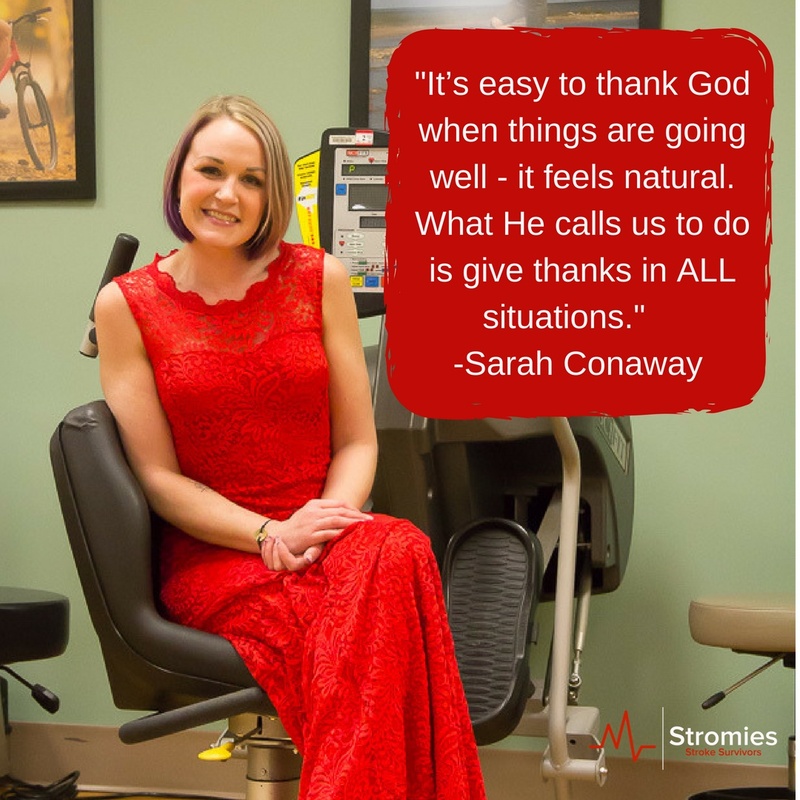 The Stromies are a trio of positivity who strive to encourage survivors worldwide. The two ladies I serve with have brought me such comfort, companionship, and FUN! I’m so thankful God brought us together. When I get a case of the “poor mes”, I focus on any one of the many things that I am grateful for. It always makes me smile.This also helps show others how to do the same. 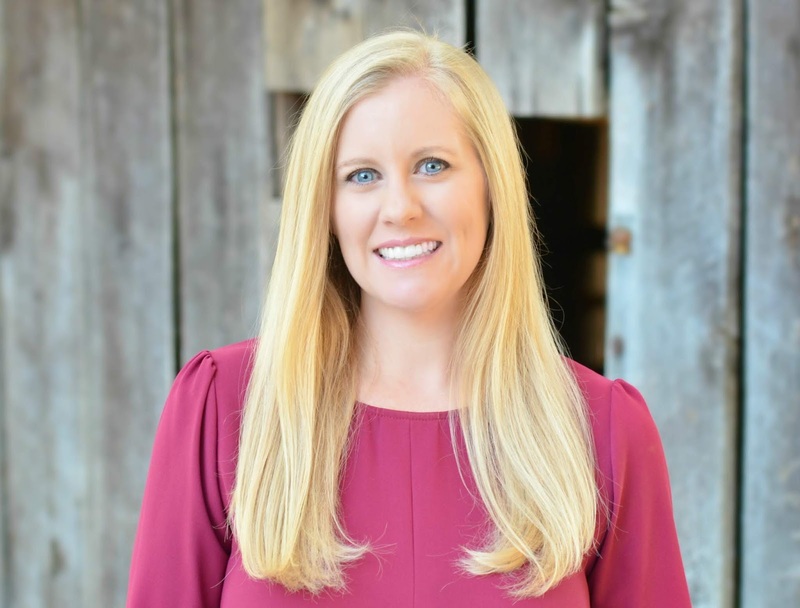 BIO for website: Sarah Conaway is a two-time stroke survivor who truly believes each day is a gift. Through intense therapy, Sarah has regained much of the ability she lost. Although Sarah has had a myriad of health problems over the past 15 years, the strokes changed her life forever. Sarah’s story is a true testament of Jesus’s divine intervention.Sarah volunteers with hospice patients and the children’s ministry at her Church. She is a tri-founder of the Stromies (Stroke + homies) who minister to those with disabilities world-wide. She’s excited to be a part of the Wholly Loved team as a speaker, blogger, and Street Team Leader. She loves sharing how God is continuing to shape her into the person she is today. 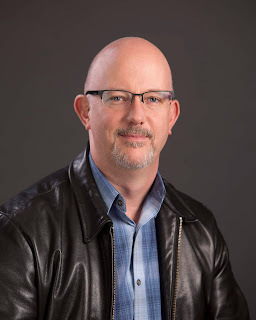 Authors make up so many things in their minds, but if they can go somewhere to research locations or situations that match up with their plot, it allows for more authenticity with their work. My book Launch and its sequels are set in the Bay Area in California. I have family there, so I spend time there every year or two. I've had the opportunity to visit the campuses for Facebook and Google, Alcatraz, the Golden Gate Bridge, and Fisherman's Wharf in addition to other areas in the region. These trips helped me make things realistic in how I portrayed locations, and it allows me to paint scenarios with greater detail. I even visited my brother-in-law's tech company. It was a great model for a similar location that I blow up in book two - but don't tell Steve, okay? If you're a writer, what's your favorite place you've visited for research? Your favorite thing you've done as research? For readers, is there a book you've read that really shows off the research? Danger lurks on the horizon, leaving only two choices: find shelter or flee. Cassidy Livingston’s new identity has begun to feel as comfortable as her favorite sweater. 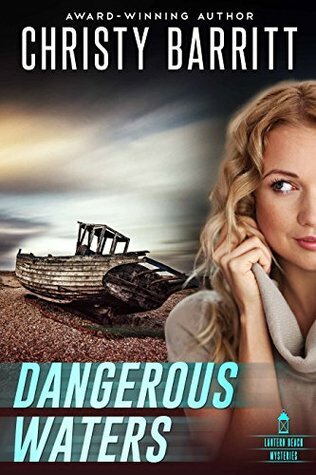 She’s been tucked away on Lantern Beach for weeks, waiting to testify against a deadly gang, and is settling in to a new life she wants to last forever. When she thinks she spots someone malevolent from her past, panic swells inside her. If an enemy has found her, Cassidy won’t be the only one who’s a target. Everyone she’s come to love will also be at risk. 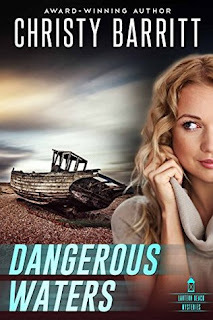 Dangerous waters threaten to pull her into an overpowering chasm she may never escape. Can Cassidy survive what lies ahead? Or has the tide fatally turned against her? 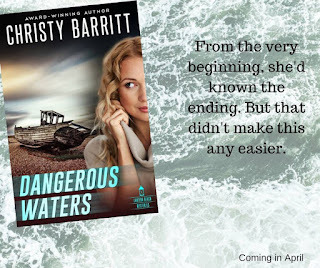 My thoughts: DANGEROUS WATERS is the fourth book in this series and while it does have it's own mystery it is tied in with the first three books in the series. 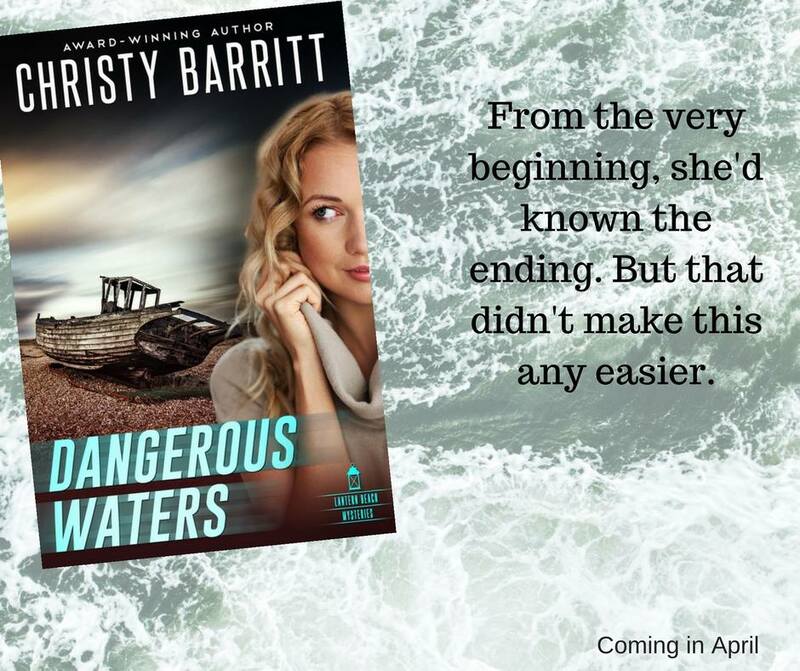 Fans will want to read these books in order: Hidden Currents, Flood Watch, Storm Surge, DANGEROUS WATERS, Perilous Riptide and Deadly Undertow. Cassidy finally comes clean with Ty and Mac in this book and I was glad she did. I understood her reasons but I hated that she hadn't told them why before. She needed them and their expertise in this book and they had her back. I loved the way the lighthouse played into the story. Both the building and the reference to God. I get a kick out of Cassidy's ice cream truck -- it is wonderful for comic relief. With this mystery you know some of the big five questions: Who, what, where, when and how but not all. Who, what, why and where were answered, but when and how were left for the reader to find out. The tension why high all through the book. Stay tune for review on Perilous Riptide coming soon. My thoughts: FROM THIS MOMENT is an older book by Ms. Camden that I hadn't had time to read for ages. I finally moved all her books to my short stack because honestly she is a favorite historical romantic suspense author. Stella is needy, but strong, cocky, confident. Romulus is arrogant, but yet so insecure. These two both had their own mysteries to solve but they need each other to do so. I fell in love with Romulus's brother-in-law Clive and would've loved more of their story. I figured out who-dun-it when the "Bad guy" was introduced as a POV character. Until then one guess was as good as the other though I had suspicions and wondered about some of Romulus's friends. 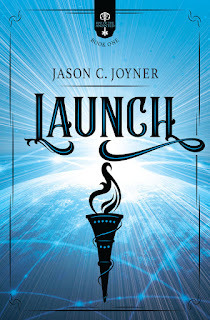 I found FROM THIS MOMENT totally engaging and I couldn't put the book down. I had to keep reading to find out what happened. There is a strong faith moment in Stella's story, but not so much in Romulus's. Fans of historical romantic suspense will want to read FROM THIS MOMENT. 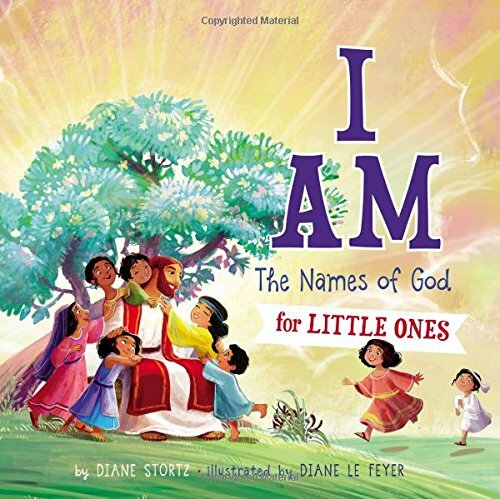 I Am: The Names of God for Little ones. My thoughts: I AM: The Names of God for Little Ones is a board book with beautiful, glittery, touchy-feely cover that is sure to appeal to babies and toddlers and not only that but it packs a valuable message. The names of God. A couple of years ago, my pastor-husband preached a series of sermons about the names of God. It went into greater detail than this book, of course, and mentioned more names of God but this is a board book and not all inclusive. It mentions a name - like creator - gives a verse, in this case, Genesis 1:1 and writes a poem about it and a brief prayer and of course, lots of colorful pictures. It also gives the Hebrew or Greek name for the name Elohim is Creator. My favorites is Healer and Provider - but of course, He is all that and more. This is a great beginning devotional for babies and toddlers, can be expanded into more by reading scripture passages for early elementary or can be read in story book form for the snuggle bunny beside you. In fact, you could say everyonealready belongs to something. We belong to a family, whether we want to be a part of it or not. We belong to a certain cultural group, socio-economic status, social club, or belief system (even not believing in God is a belief). 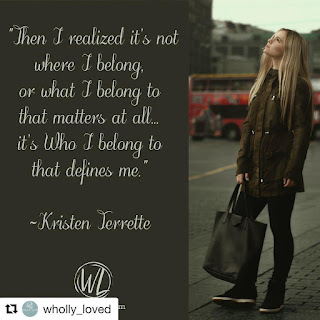 And over the last few months, I began to think on this as certain Scriptures kept jumping off the page and weaving around my heart.I began to notice the word belong throughout the New Testament in the NIrV translation of the Bible, the one I fell in love with from my days in children’s ministry. Over and over, I saw this small word¾thirty-four times in fact, though I’m sure I missed some. All of these mentions were seen with my naked eye,not prompted by a Google or topical search. I would read a verse and the word,belong,would pop up a few verses ahead or behind. I began paying attention, knowing God was trying to tell me something. This led me to question, what do I belong to? When people see my posts on social media, meet me in line at the grocery store, or at my son’s football game, where do they think I fit in? Am I perceived as rich or poor, ditzy or smart, a Christian or Atheist, an American or foreigner? 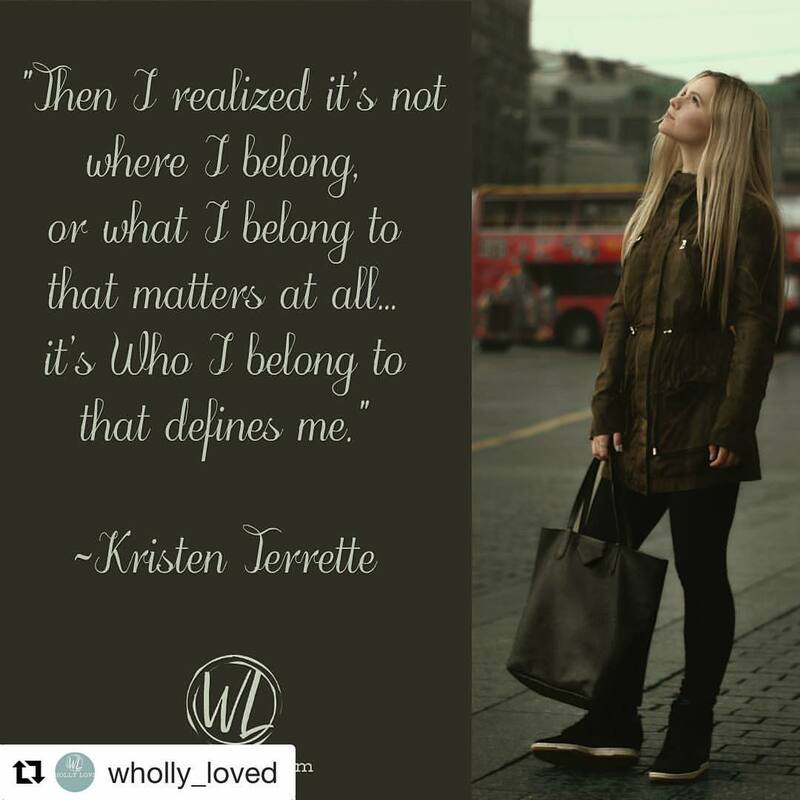 Then I realized it’s not where I belong, or what I belong to that matters at all… it’s Who I belong to that defines me. Period. Are you ready to get into a little Bible study? See all of these thirty-four verses discussedfollowers of Jesus as belonging to God. When you look at the NIV translation¾the parent version of the NIrV¾the phrase is often said like this: “created in Christ Jesus”(Eph. 2:10), “seated us with him in the heavenly realms in Christ Jesus” (Ephesians 2:6), “And we are in him” (1 John 5:20a), or “by being in his Son Jesus Christ” (1 John 5:20b). See the trend? If we are in Christ, then we are a part of Him. We are in Him. But the NIrV knows that’s confusing to our meager minds…so they change it to: “created us to belong to Christ Jesus” (Ephesians 2:10), “seated with Him in heavenly realms because we belong to Christ Jesus” (Ephesians 2: 6), “we belong to the One who is true” (1 John 5:20a), and “we also belong to his Son, Jesus Christ” (1 John 5:20b). I belong to Jesus, and if you believe in Him, so do you. He does not discriminate. You are His. Belonging to Him is the most important piece of our identity, the only one that matters in this world full of groupings which tend to divide us, instead of unite us. I’m positive Jesus wants me to know and understand this concept. I am certain if we decided not to focus on what or where we are, but on Whose we are, the world would be a better place. My thoughts (reviewed by Steve): I didn't get a chance to buckle my seatbelt. So not fair. Lynette Eason writes the way machine guns shoot . . . incredibly fast, and in a way that overloads your senses. But that's a good thing, when you are writing a story. With incredible ease, the reader is introduced to the characters, and forms an immediate bond with them. At the same time, Eason ratchets up the tension to the point where you aren't putting this book down until the final page. You've been warned. Now, please open your book, CALLED TO PROTECT, to the prologue. But first . . . buckle up! Chloe St. John has BLUE running through her veins. The daughter of the Chief of Police, she has two brothers, a sister, and a brother-in-law all dedicated to fighting crime. You might say it's a family affair. And one at which they all excel. Chloe's partner, Hank, has two left feet. He also has two right feet. They are kind of a prerequisite for Dutch Shepherds. And Hank excels in his job, as well. While trained mainly for sniffing out narcotics, Hank's nose is versatile. If he can smell it . . . he can track it. A neat trick, that. Chloe's recovering from a broken relationship, and the crime she's currently investigating is guaranteed to take her mind off of her personal issues. It seems that a certain judge has a vendetta against human trafficking, and the criminals just want him to back off. To the point where two innocent teenage girls have been kidnapped in an effort to get the judge eliminated by one of his own bodyguards. U.S. Marshall Blake MacCallum's daughter has been kidnapped, and the ransom note has been delivered: one dead judge, or else. The Marshall's daughter is a Type 1 diabetic, so her health issues further exacerbate the situation. As the task force closes in on the human trafficking ring, Chloe and Blake are drawn closer and closer together. Is it just business, or could things actually be getting personal? Touching on one of the most polarizing issues of this century - human trafficking - Lynette Eason exposes the crime in sufficient detail while still maintaining the dignity of its victims, conveying concern and compassion in equal measures. 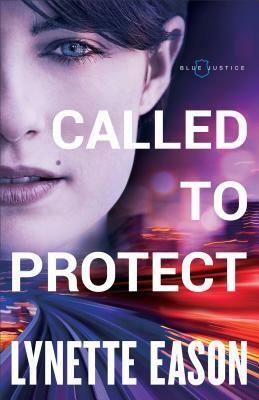 CALLED TO PROTECT is the second book in the BLUE JUSTICE series by Lynette Eason. 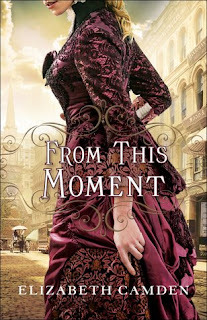 Interview with Ada Brownell and #giveaway!!! 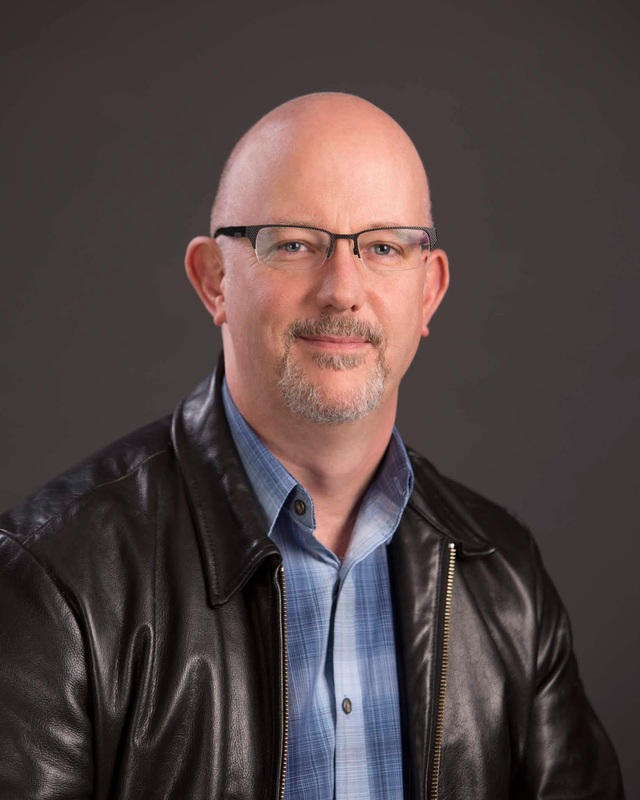 A Guestpost from Gail Kittleson and #giveaway!